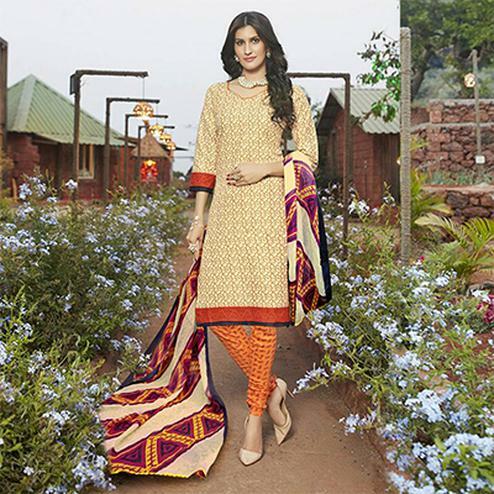 Make your casual look more beautiful with this golden salwar suit detailed with attractive design prints. 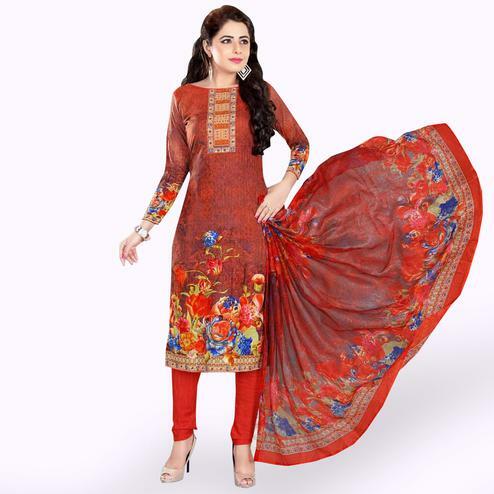 This outfit consists of pure cotton kameez, chiffon dupatta and pure cotton bottom. 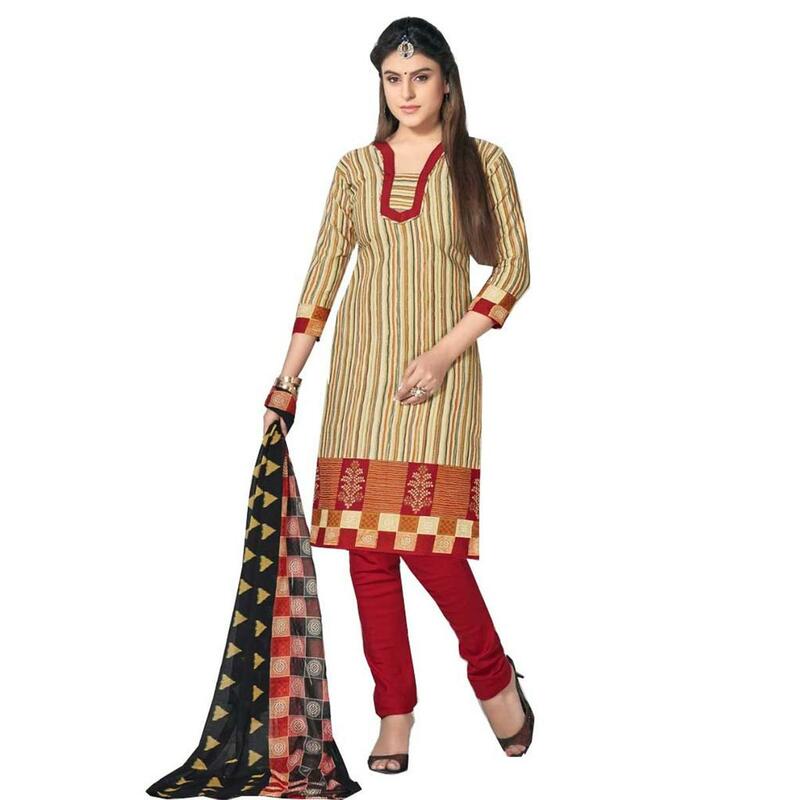 Once stitched, you can wear this outfit for casual & regular purpose.